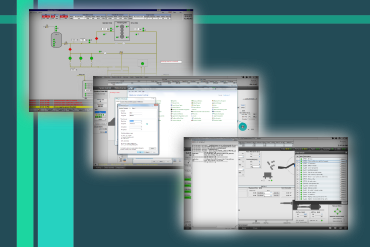 Design the layout and program parts of HMI (Human Machine Interface) according to the customer's order. Screens showing status of all controllers of movements in each rolling stand. Screens showinng positions of coils waiting for rolling or already rolled and positions of material head and end. Screens of emulsion system preparing cooling emulsion for all parts of rolling mill. Screens showing the status of entry and exit sections status for transporting the coils to or from the rolling process. Integration test was done in Germany at SMS Group GmbH company. The main point of integration test is to simulate whole technological entity and test all programmed parts together to reduce the commissioning time at customer.